It’s been a while since I lacked blogspiration. But here I am, I’ve scrolled through facebook and twitter for something to get riled up about and I must admit it was slim pickings. Sure, it’s irksome that Pippa Middleton has “secretly” become a nutritionist. Not so much so that I could be bothered to write an entire blog post about it. Mother Jones has moved on from almonds and is now telling us that there will be no more salads because of the drought in California. Yes, I know that this drought is a serious issue and I really feel for the people of Cali. However, for now, my local farmer’s market has got me covered thank you very much. The only thing that really got even the tiniest bit under my skin was a tweet from a doctor saying that nutritionists think they have more information than they actually do. By nutritionists, I’m pretty sure he also meant dietitians, based on the thread. Why thank you doctor, I’m sure that your nutritional expertise far exceeds that of those of us who studied nutrition at university for four years and continue to do so after graduation. Thank you ever so much for the professional support. Obviously we should just give up on this emerging field and let you do all of the nutrition educating. To be honest, sometimes I do want to give it up. To say “screw it! Let them have their gluten-free charcoal smoothies. See if I care!”. It’s frustrating working in a field where the science is constantly changing and which is incredibly difficult to study at all. In a field that everyone fancies themselves an expert in based on the sole fact that they eat. A field that is constantly being attacked by hacks, journalists, and other healthcare professionals alike. All of them pushing their latest miracle diet. A field in which so few people understand what exactly it is that we do. Sometimes I wish I could go back in time and become an electrician. Kids, trades are where the jobs are at. Uni is great and all but a BA is the new high school diploma. The thing is though, I love food. I love cooking it, eating it, and sharing that love with others. And despite what some may believe, I know quite a bit about it. Just because we don’t know the optimal amount of kale to eat each week doesn’t mean that we don’t know enough to help others improve their health through good nutrition. Healthy eating isn’t complicated, it’s true. It’s not rocket science or neuro-surgery. Yet, somehow, most people don’t seem to be able to manage it anymore. Helping people learn how to improve their diets isn’t just about vitamins and minerals. In fact, it’s not really about them at all. It’s about helping people prioritize their health and food. Getting them into the kitchen. Yes, we can tell you all about the different types of fibre, how to make cheese, the structure of all of the essential amino acids. We know the science behind food. 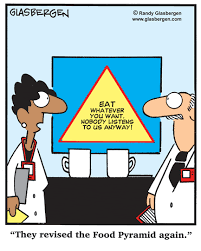 We also know that this isn’t what’s important when helping people to lead healthier lives. 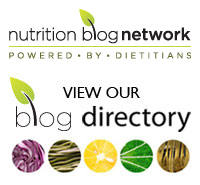 Tags: dietitians, healthy eating, knowledge, nutrition, science | Permalink. This is so true. In fact, my husband will come home telling me the message/accupuncturist (therapist) says the best food for losing weight is…… Then my look at him lets him know just walk away carefully. Which of course, the therapist has something to sell to try and see if they help. I haven’t, thanks for sharing!